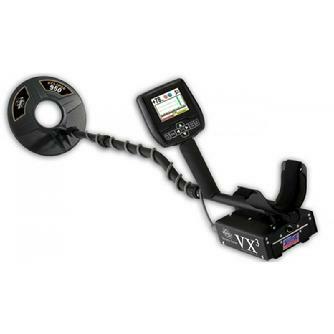 The beautiful, full-color HD display clearly explains the depth and metal type of detected objects.The V3i is always ready to go with its rechargeable battery and ready to help with an onboard reference guide. 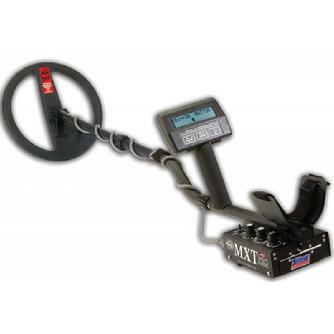 The legendary performance of the MXT is like having three metal detectors in one! This detector is as comfortable hunting for coins in the park as searching old battlefields for relics. Its easy operation and performance were designed by prospectors for the tough task of finding gold. Prospecting: Iron Grunt for targets with high probability of being iron. Coin/Jewelry: Coin/jewelry/trash target ID with distinct tone IDs. 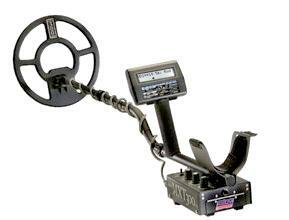 Maximize your treasure hunting at an affordable price with the TREASUREmaster®. 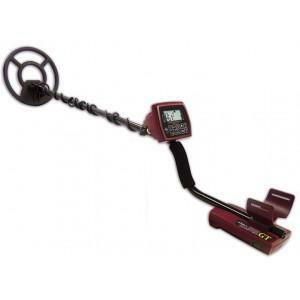 Unlike the preset ground balance on most comparable metal detectors, TREASUREmaster's true Automatic Ground Balance adapts to ground conditions as you hunt for increased depth and sensitivity to small targets. With 4 search modes and a big VDI number in the center of the display, you'll be hunting like the pros in no time! The Coinmaster GT combines simplicity with high-end features in a detector that excels at coinshooting and finding jewelry. Beach Mode, a 9” waterproof coil, and the water-resistant control box make it ready to explore the shore. Adjustable Notch Discrimination and Smart Notch allow you to selectively filter out worthless target profiles like nails, foil, and pull tabs from cans. Automatic Ground Balance self-adjusts while you’re on the move. Five-Range Discrimination and Visual Discrimination Indication on its backlit display provide precise target information before you spend time digging. The slide-in battery pack is easy to swap and uses standard AA batteries. The rugged Coinmaster offers solid performance with features that help you discover coins and jewelry. 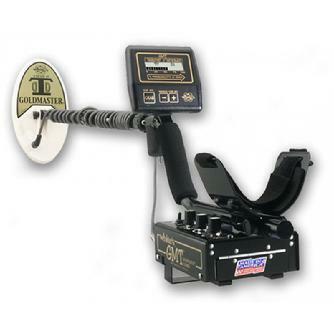 The Pro model surpasses the basic Coinmaster’s features with Smart Notch that allow you to reject tabs at low discrimination or accept nickels at high discrimination. Five-Range Discrimination adjusts so you can hear everything or only the signal types you choose. Target ID shows you the identification of targets as you hunt, so you can see and hear the target. The Pro model’s Tone ID goes a step further with different audio tones for nails and iron, rings and jewelry, and coins. Depth reading then helps you know how deep to dig. At only 2.5 pounds, the Coinmaster is comfortable for all-day use with its included pair of 9-volt batteries, and the waterproof 9” Spider Coil is ready for beach exploration. The GMT is White’s “Goldmaster” — used in goldfields around the world! 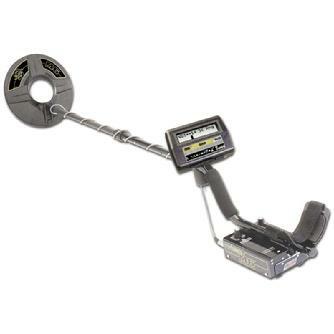 This detector ignores the harsh ground found in gold-bearing areas to simplify prospecting and find nuggets large and small, and coins, too. The GMT is made for gold country, with 48 KHz operating frequency — the best for gold — and a waterproof search coil that’s ready for streams and rivers. High-end features like the iron target analyzer make hunting easier. Manual controls are available for advanced users, and each option includes a recommended initial setting. Also onboard: variable self-adjusting threshold, Grab Pushpad for setting ground balance instantly, automatic ground balance, and “Follow the Paystreak” feature, which displays the amount of magnetic minerals in the ground. To hunt all day, you need a lightweight detector that still provides high performance. 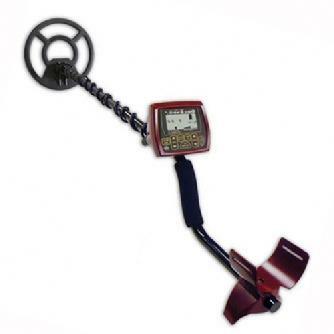 The TDI Pro Metal Detector has pulse induction power that provides unbeatable depth and sensitivity and is designed specifically for prospecting and identifying relics. Special prospecting features make life easier, such full-control ground balance that filters out the iron mineralization of hot rocks, black sand, and other tough grounds. This compact detector weighs only 3.5 pounds with its waterproof 12” Spider Search Coil, which offers deep detection depth. Other accessory coils are also available. The rechargeable NIMH battery lasts up to 6 hours, and a backup AA battery back will power all-day exploration. Designed for difficult beach grounds, the Surfmaster Dual Field combines turn-on-and-go ease with the extreme depth and sensitivity of pulse induction detection. PI technology yields extreme depth detection for coins and jewelry – especially in salt water and mineralized ground. This detector is surf-ready and completely waterproof to a depth of 100 feet. Its 12” dual-field search coil has near neutral buoyancy, so it won’t push away from the water or try to sink. Included Piezo headphones are also waterproof. 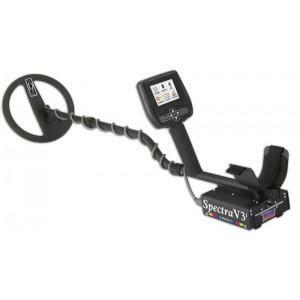 The Surfmaster Dual Field is sensitive to gold, even at maximum depth, and makes hunting easier with gain control and variable sweep speed. 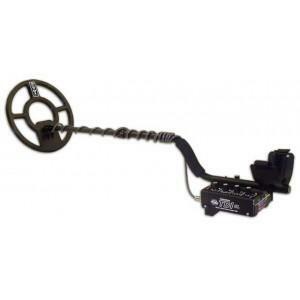 The adjustable pulse delay reduces noise from black sand and junk, making targets easier to pick out. For combing beaches, your best friend is the BeachHunter 300, which ignores junk and detects treasure in and out of the water. The control box is detachable, and color-coded LEDs let you identify detected targets with just a glance. 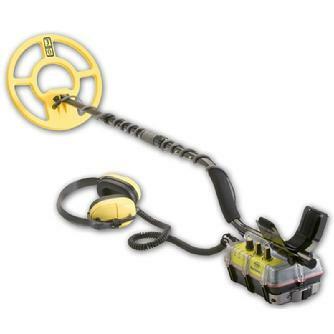 Water and electronics usually don’t mix, but this detector is completely waterproof in depths up to 25 feet. The specially designed 12” spider coil has extreme detection depth but is epoxy-filled so it has near neutral buoyancy: it won’t push away from the water or try to sink. Included Piezo headphones are also waterproof to guard against accidental drops. Dual-frequency detection provides optimum results on the sand and in the water, while two search modes toggle between pinpointing and wide search. The detector’s three controls let you adjust threshold, sensitivity, and ground. 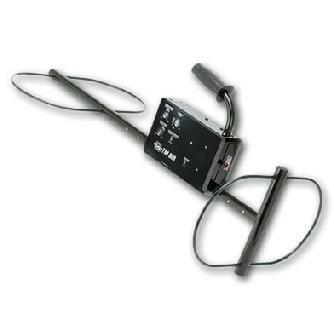 White's Spectra-Scan Handheld metal detector is designed for the rigorous requirements of security environments, including airports, correctional facilities, schools, concerts, sporting events, and public and private buildings. 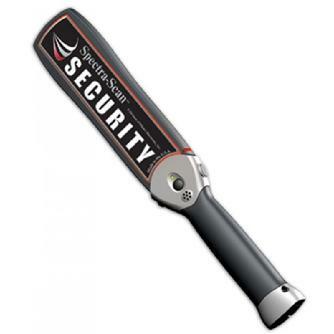 White's security metal detectors are designed and manufactured in the USA, with the uncompromising commitment to quality that has been the White's metal detector hallmark for over 50 years. We designed the Spectra-Scan to meet and exceed the needs and specifications of today's security-conscious world. It complies with all National Institute of Justice standards for indoor/outdoor operations. 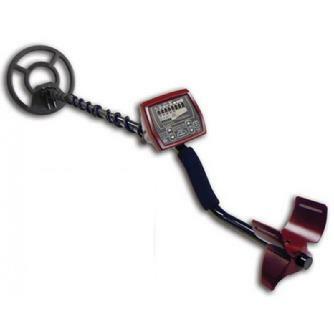 White's Bullseye TRX is the perfect companion to your metal detector. Locate valuable coins, rings, jewelry, gold and relics! 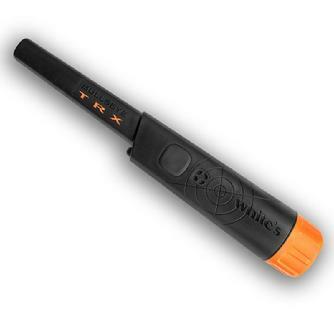 When you've located a target and dug the hole, use the Bullseye TRX Pinpointer to precisely "pinpoint" the target. No tuning. Completely automatic. Powerful LED light illuminates target areas when the button is pushed. Powered for up to 20 hours on two AA batteries or a single 9-Volt battery. 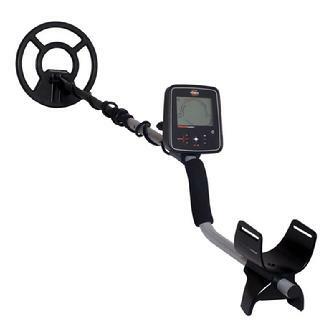 © Copyright 2016 Metal Detector Distributors. All rights reserved.